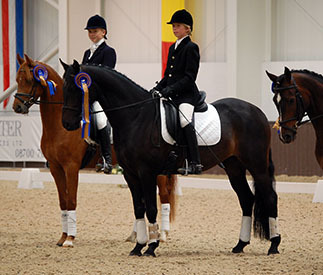 Having run as part of the British Dressage Breeding and Young Horse Championships for a number of years, with the reorganisation of the BD Young Horse classes in 2009, the Young Dressage Pony Championships did not run last year. However, the SPSS have worked with BD and VVEq to get this event together this year and BD hopes to develop the Championships further for next year – but this does depend on the level of support received this year. SPSS Polo Shirt & Cap to rider of top pony in each section. 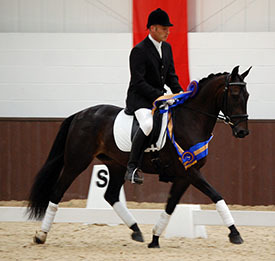 SPSS Voucher (value £20 and redeemable against SPSS merchandise, grading, registration or membership fees) to Highest Overall Scoring Stallion; Highest Overall Scoring Mare and Highest Overall Scoring British Bred Entire (if not already awarded a voucher). SPSS Merit Award (Certificate/Rosette) to highest placed SPSS registered pony in each section. Y Matilda, a British-bred part bred Welsh mare; sire: Medoc (Hann); damsire: Paith Castan ap Replica (WPCS); Breeder: Andrea Smith; Owner & Rider: Andrea Smith. 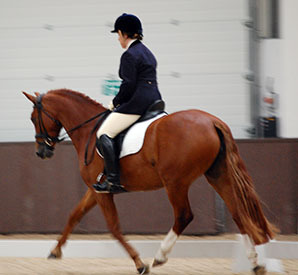 Y Matilda was 4 year old Champion in 2006; 3rd as a 5 year old in 2007 and 6 year old Champion in 2008 making her the most successful British-bred pony at the Young Pony Championships to date. 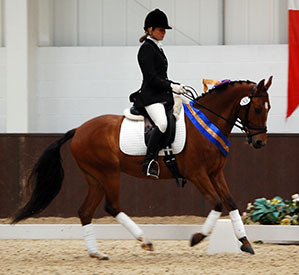 Y Matilda was SPSS Mare Grading Champion in 2007 and has also been successful in her dressage career, with many further wins and Regional Finals qualifications at all levels up to Medium together with qualification for the 2010 Winter Finals at Medium Music. The 2007 Snuggy Hoods 4 Year Old Dressage Pony Champion, Nou Nous B. A German Riding Pony by Nature Boy (DRP), damsire Nils and bred by Karin & Helmut Bosserhoff. Owned by Ben Martin, Nou Nous B was also Champion 5 Year Old in 2008 ridden by Alison Berman.